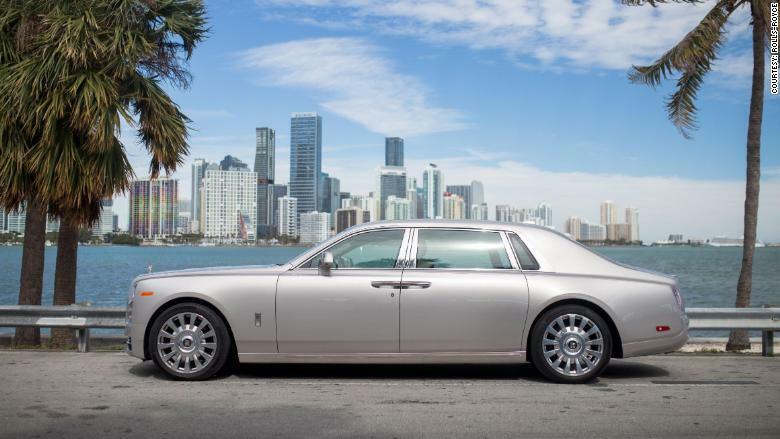 A high-rise ultra-luxury resort just north of Miami Beach called Acqualina has a parking lot filled with Rolls-Royces. They belong to residents who pay millions of dollars to live, at least part of the year, in this ochre-colored tower with its ocean views, private beach and spa. As it happens, Acqualina has the highest concentration, anywhere in the world, of privately owned Rolls-Royces. A few residents have more than one. 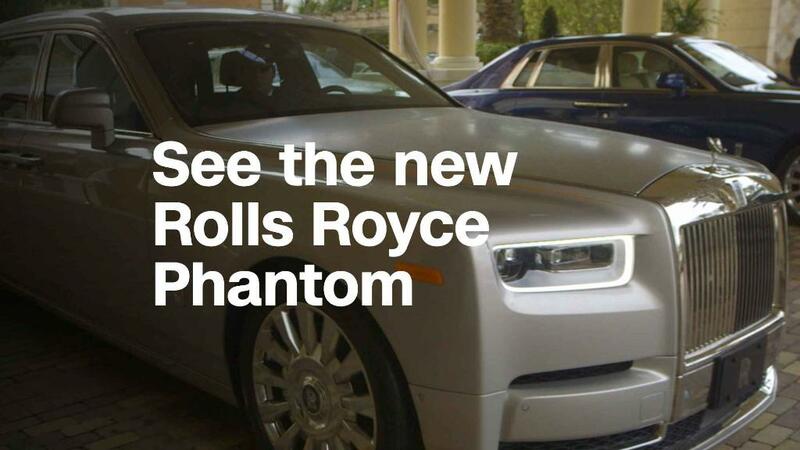 I went there to try out Rolls-Royce's newest model, the completely redesigned Phantom. This is Rolls-Royce's largest and most expensive car. Prices start at a $450,000. It is also the lodestar for the brand. Every other Rolls-Royce model is some smaller and slightly less expensive variation on this car's essential theme which is, in a word, magnificence. 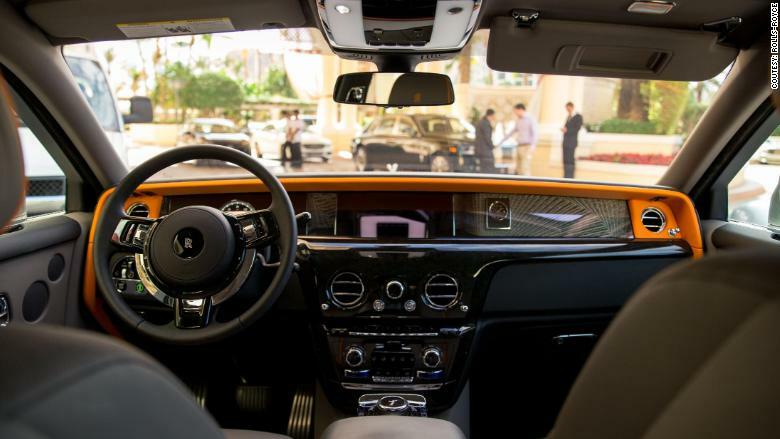 As I walked out the front door out of the Acqualina, with the door held open for me by a very busy doorman, a driver opened the back door of a Phantom allowing me to step right inside after barely touching the warm Florida air. The driver touched a button on the car door handle and the door, hinged at the back, whooshed closed, shutting with a vault-like thunk. Normally, I wouldn't start a test drive by riding in the back, but this car is engineered around the passenger. The seats are comfortable and recline deeply. They will massage you if you want. Press a button and he floor rises up to meet your feet while your head rests on a soft leather pillow. The Rolls-Royce Phantom is roughly the size of a full-size SUV. Please try the stereo. Unlike most carmakers, Rolls-Royce did not just hire a big-name stereo company to fit a product into its cars. 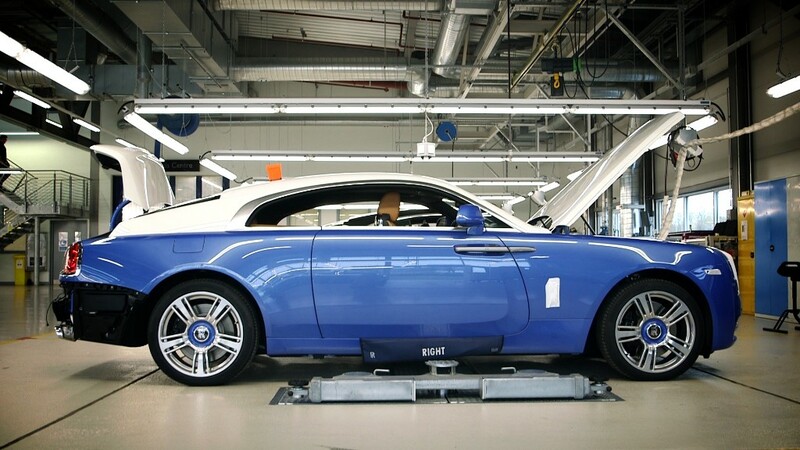 Instead, Rolls-Royce hired its own sound technicians to create its own stereos. The results are amazing. Normally, nobody wants to get the "factory stereo" but, when the factory is Rolls-Royce, you do. And that sets the tone for this car. I could provide a long list available features such as the champagne cooler you can get with etched crystal champagne flutes. But that wouldn't tell you how pretty those champagne flutes are. There are the umbrellas that reside, ready for immediate deployment, inside the doors. These are umbrellas like you've never seen. They have silver handles and a nice heft in the hand. They cost $700 each. The perfect pinstripe down the side was painted there by hand. I know because I've met the one man in the world who paints Rolls-Royce stripes. The new Phantom's gauges are little round computer screens. Not everything was perfect, though. At least not to me. But the things that I didn't like weren't issues of quality but decisions made by Rolls-Royce designers that just didn't happen to please me. Call me picky but when I'm looking at a $630,000 car, including all its options, I want to be happy. The Starlight headliner, for instance, is beautiful. The entire ceiling of the car glistens with tiny specks of light mimicking the stars in England's night sky when the first Phantom was built. But there is no optional panoramic sunroof, like so many cars have these days. I would have preferred the glass roof. Too bad for me. 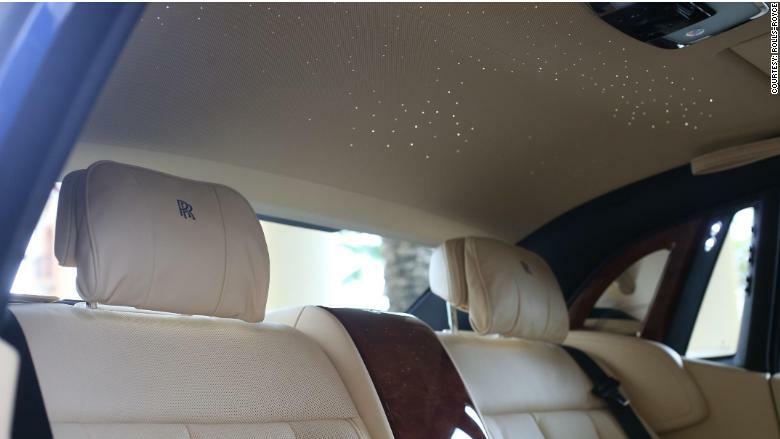 Rolls-Royce's starlight headliner glistens like a night sky. And those backwards-hinged rear doors look classic but they are awfully awkward to open from the inside. But that's a signature Rolls-Royce feature so those doors will never be hinged the normal way. And in the new Phantom, Rolls-Royce's beautiful gauges, some of my favorite in the business, have been replaced with "virtual gauges" on little computer screens. In a cabin with no fake wood or fake metal, fake gauges seem sad to me. I also took a turn at the Phantom's great big steering wheel. Rolls-Royce makes some of my favorite cars to drive. The two-door models, the Wraith and the Dawn convertible, are a pleasure to pilot over a winding rural road. There's a feeling of complete but gentle control as you ease through curve after curve at a clip. The Phantom is similar in that this big car can charge along at surprising speeds without ever making you aware -- except glancing at the speedometer -- that you probably ought to slow down. It's no sports car but, considering its size, the performance is impressive. With its big V12 engine, it bolts to highway speeds in just five seconds. The Phantom never feels wallowing or uncontrolled. Once you get used to things like the gentle action of the brakes -- they do respond promptly in an emergency stop -- you can securely weave it through anywhere, provided there's space. For those who can afford it, it's a unique experience. As for me, I'll take the smaller Wraith and be perfectly happy in the driver's seat rather than riding in the back of the Phantom.